First thing first, don't forget to enter to win the fabulous Mahogany Pedestal Table Free Giveaway sponsored by Anne-Quinn Furniture. Of late some decor accents from the 70's glam design era have caught my attention: faux bamboo, geometric patterns, gold-leaf bombe chest, tufted velvet chairs, etcetera, etcetera. 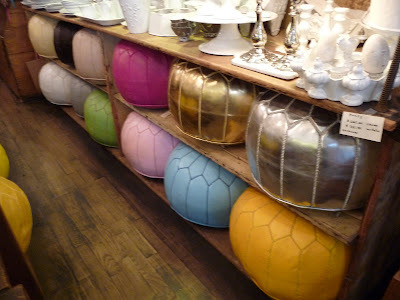 I was instantaneously hooked when I saw the use of a Moroccan Pouf in these pictures. As you could see, this little fellow is so versatile that it can be worked into so many different decor styles: elegant/glam, French Provincial/causal, and even contemporary! This is a close-up look of this Moroccan Pouf in Silver Leather. It comes in many other colors as well. 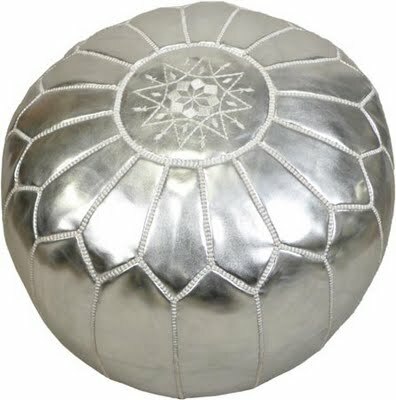 I've already had a few too many ottomans in my house, but I really want one of these. Would you add a Pouf to your living room? Bedroom? 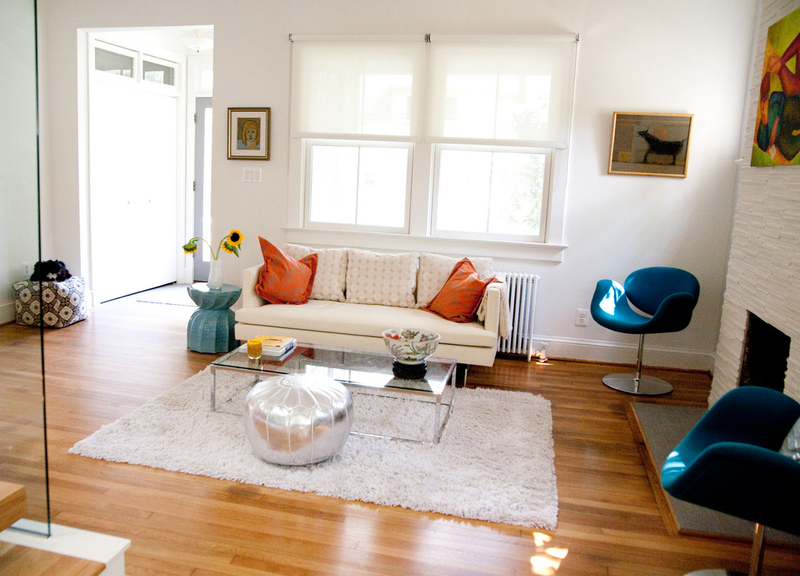 Is it too casual to be in a formal living room? Which color would you pick?